Prior to the use of synthetic dyes and pigments in the late 1850s, furniture makers used naturally occurring colouring agents. This article, which is based on the research undertaken by Ian Wall whilst gaining a post-graduate diploma in Conservation and Restoration of Furniture at West Dean College in 2004, gives details of some of these materials. We glory in the huge range of colour in embroidery wools, silks and knitting yarns. This range of colour was used by ebenists and marqueteers in the 17th, 18th and 19th centuries. So why not do what modern textile designers are doing and try using some of the traditional old dyes. This article will describe the materials and in another I will show the use of the dyes and stains. Where a material is endangered in the wild I have shown a near related species, which can be used to produce a similar result. Because botanists are always upgrading nomenclature some plants appear with both their new and old names. Note: Before attempting to try any of these materials do test on a piece of scrap before applying to your latest masterpiece. Oh, and do observe good health and safety precautions in terms of avoiding ingestion or inhalation. Read and act on the information in the data sheets for any solvents or chemicals before you open them. The word 'mordant' is used frequently. A mordant helps the dye grip into the wood. It comes from the Latin word modere, which means to bite or to grasp. 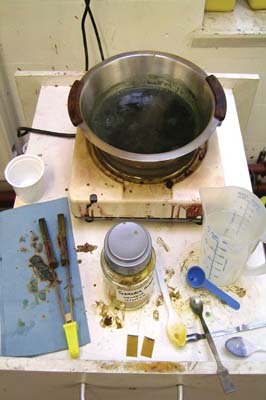 Using a mordant improves the light fastness of a dye. The results are subtle and unique to each batch produced. Although with experience one could learn to predict the outcome with a degree of accuracy. Variation in batches are as likely to be linked to the growing conditions of the ingredients as they are to the water used. This could equally produce interesting results. 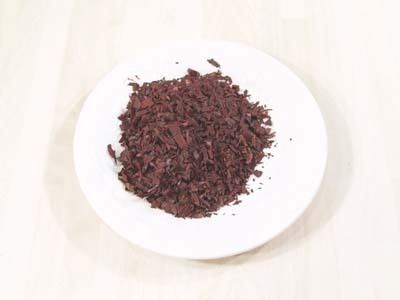 The dyes giving the best results were logwood and Brazil wood. Not withstanding the fact that these dyes occur naturally they are also a means to achieving authentic colour reproductions. As stains in their own right they can be applied directly to the surface while others can be blended with existing products to tint spirit or oil based products. Don't underestimate the excitement of the alchemy in the preparation and seeing the colours appear as if by magic. The process is undoubtedly rather messy and not without odour but if you're a traditionalist you'll enjoy the notion of keeping old traditions alive. As usual, all these materials and processes can be tried on one of my courses. This comes from a small herb that grows to about 12in. It's cultivated in Central and Southern Europe for its dye. The dye is oil soluble which means it could be used to colour oil based finishes. 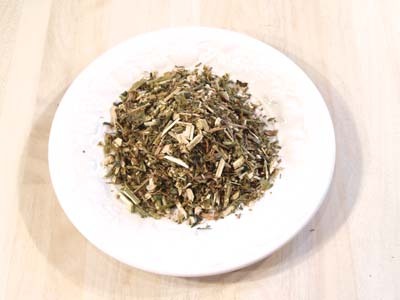 The root is dried and then bruised in a pestle before soaking in spirits of turpentine or naptha. The colour is said to be good for imitating rosewood and mahogany. It can be mixed with wax to warm the colour up. This comes from Berberis vulgaris and is found in Europe and North America. The bark is crushed and steeped in water. The berries can also be used. The original timber referred to in old books is now an endangered species although some new planting is taking place. However, a similar result can be obtained by using a near related species Caesalpinina echinata. The wood is chipped and boiled to produce a coloured liquor. Catechu (Acacia catechu) is a tree that grows in India and also a creeping plant. The bark and leaves can be used with water or spirit. 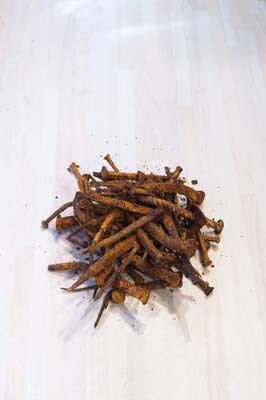 A resin extracted from the seeds of the Bixa orellana tree, which is very common in the West Indies. 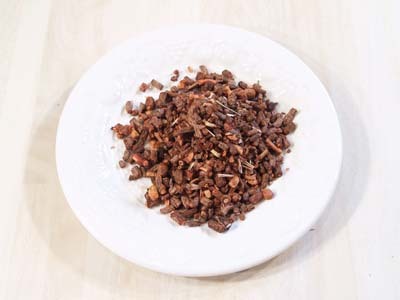 The seeds can be crushed in a mortar and then boiled in water or soaked in alcohol to make a spirit stain. 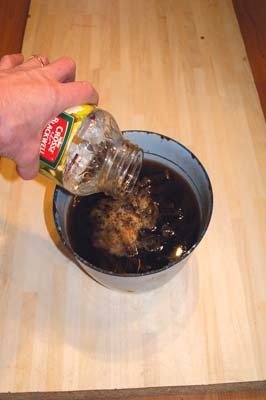 It can be used to change the colour of varnishes. It can also be precipitated under water, which makes a better colour but produces less in quantity. These are the berries of the shrub Rhamnus cathartica, which should be crushed and boiled in hot water. They may also be known as Persian Berries, or Grains of Avignon. Often grown as a hedge near the coast. This is a well-known culinary colour. 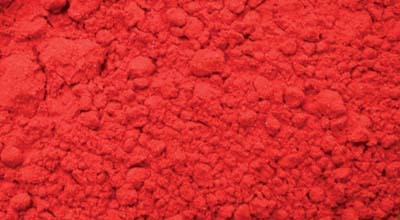 It's made from the bodies of cochineal insect genus (Coccus cacti), which with different mordants produce various shades of red. 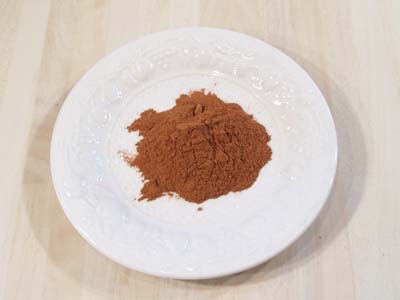 Iron oxide will make black, alkanet root makes purple, aluminous mordant will make a crimson colour. The East Asian Rattan Palm (Calamus draco) produces a resin that's blood red and will dissolve in alcohol. 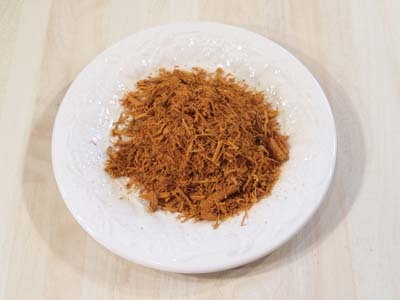 It's used as a spirit stain or to tint spirit varnishes. The lacquer on old scientific instruments is often tinted with Dragon's Blood. 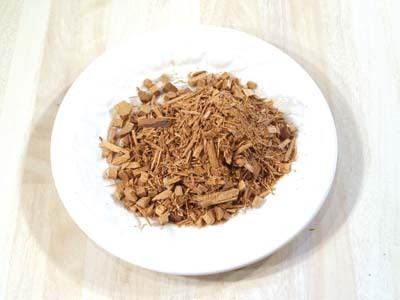 The chippings of the wood Fustic (Maclura tinctoria) can be used to produce a soft yellow. Sometimes known as Old Fustic and appearing as Chlorophora or Morus in old books. This timber was a new import from the West Indies and the tropical Americas in the late 16th century. 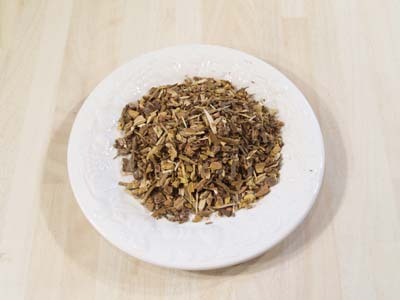 Browns and greys can also be produced by combining with other dyes such as oak bark and galls, madder, cutch and weld and then softened with copperas. This is the same material that is used to dye hair. 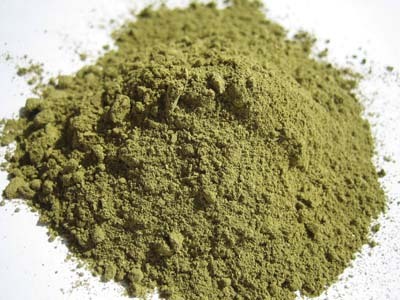 The parent plant is Lawsonia inermis and henna is obtained as a powder or thick wax, which will dissolve in hot water. 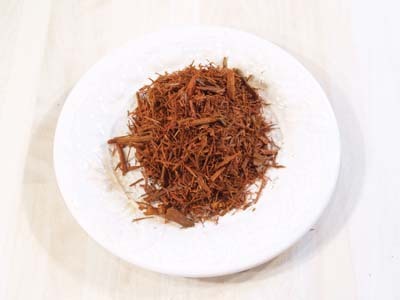 This is an important water based dye obtained from the Haematoxylon campeachianum tree. It will provide different colours depending on the mordant used but can also be used as an auxiliary to provide lustre and with black, greater depth. Logwood comes mainly from Honduras. The following mordants may be used: Volatile alkaline salts or acids incline to purple or violet brown. Vitriolic and marine acids deepen it to a deep red. Sulphate of iron renders it as black as ink. Walnuts (Juglans spp) were an important crop and as well as nuts and timber the husks of the nuts produce tannic acid and were used in early dyeing. 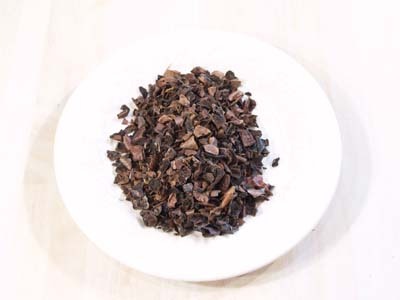 Tannic acid is now known to be found in other sources as well. This is a spirit-based resin obtained from the Garcinia hanburyi tree. 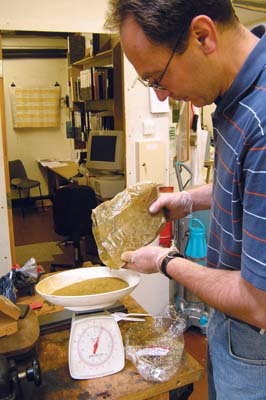 The dried sap is ground into a powder and the pigment resin extracted with a solvent. It produces a yellow dye, which can be used to tint varnishes or to make a yellow spirit stain. Itâ€™s primarily obtained from India and Cambodia. 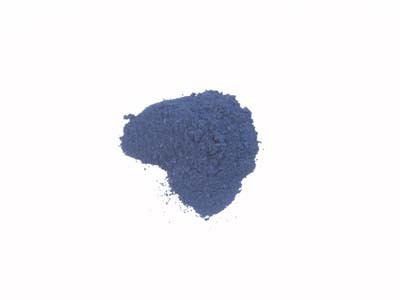 This is another well-known dye and is blue in colour. It's made from the fermented leaves and flowering stalks of over 30 related species including Indigo tinctoria, dyer's woad Isatis tinctoria and dyer's knotgrass Polgonum tinctorium. It's used to dye the material denim. This is another important and ancient dyestuff. It's obtained from the ground root of Rubia tinctorum. 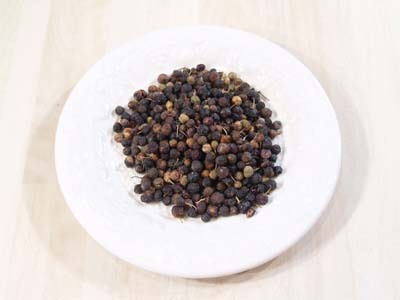 Originally brought over by the Crusaders the best soils for growing madder were in Holland. Temperature in the vat affects the colours obtained. 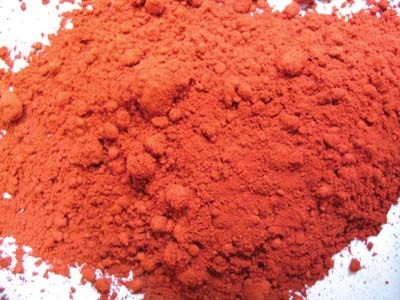 Mordants also affect the colour, alum produces orange-red, if the alum is lessened and tartar added it becomes cinnamon. 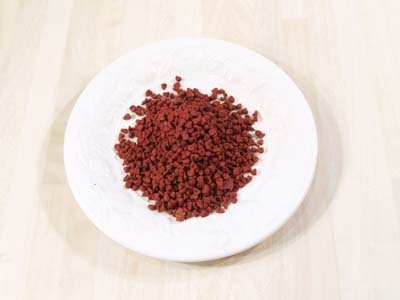 Soda or potash will heighten the red, iron sulphate will make violet. 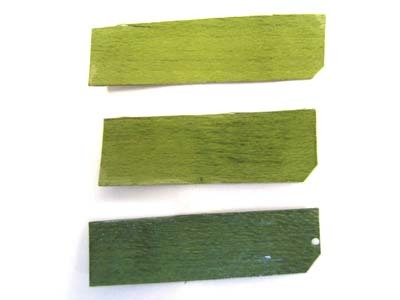 The leaves and seeds of the plant Reseda luteola were used to make a pigment arzica. It used to be harvested from its natural habitat in the Mediterranean and produced lightfast yellow. It's soluble in alcohol but can also be dissolved in water. It was used for tinting the varnish for lutes and violins. 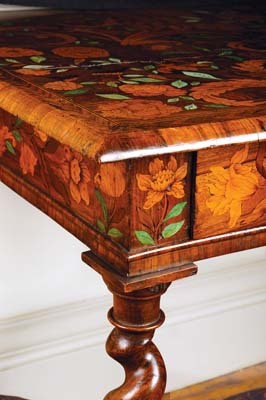 This side table (see gallery image 17) was made in about 1670 and is in a style known as walnut marquetry. The pattern was produced by staining different woods with traditional dyes and then using a paper pattern to cut out the flowers and leaves before gluing them to the substrate timber, which was oak on the better pieces. High quality pieces such as this one had coloured ivory used as a highlight, which can be seen to be very effective even after 300 years. This example is in the Wilton House Collection in Wiltshire and is discussed in Helena Heyward's World Furniture, London 1965. The technique is also discussed in detail in Dr. Adam Bowett's English Furniture 1660-1714, Antique Collectors' Club Ltd, 1999. This table, which is in the Large Smoking Room, can be seen close up on days when the house is open to the public. There are also a pair of candle-stands and a mirror en-suite with the table. Information on Wilton House, together with opening dates and times, may be found on the website under 'Visitor Information'. As a matter of interest to cabinetmakers, the house also has several Chippendale pieces on view. Temple Newsam House conservator Ian Fraser and marqueteer Jack Metcalfe collaborated to replicate the colours on a Chippendale writing table from the Temple Newsam Collection in Leeds. Jack's second book on this subject among others is due out soon. Varying shades of the same colour can be obtained by making simple adjustments to the recipe but of course not much use if you haven't written it down. It's good practice to measure and record the details of each ingredient you use for every batch you produce. As with any natural dye there will be changes in colour over time therefore it's useful to keep a sample in an envelope to preserve the original colour for longer. One of the classic mordants is iron. Iron can be used in either of two states. One is iron dissolved in water, the other is acetate of iron which is prepared by dissolving the oxide in vinegar. 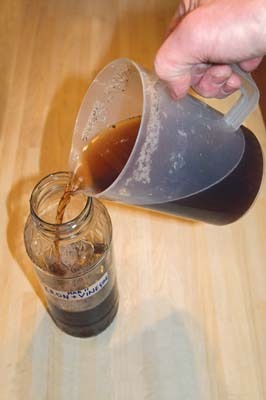 There is little advantage by the way, in using white vinegar as the resulting liquid will always be a tea-stained colour. Clear acetic acid can be obtained from a chemist and while still smelling like vinegar, the odour is not quite so strong. You can do the same with copper pipe off-cuts to make copper acetate, but the iron acetate is said to be more effective.